Smiley Crane Service, a division of Smiley Lifting Solutions, is pleased to announce the expansion of its Operated Crane Service to the Colorado Springs / Denver Area. 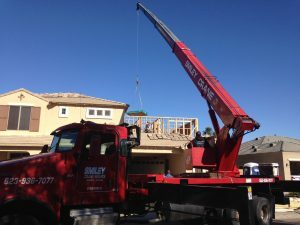 Being in business in the Phoenix Area since 1990 and growing from one Boom Truck to a fleet of over 20 Boom Trucks, Smiley Crane Service has built a reputation of providing professional, top notch customer service to its customers. Initially, the Colorado Location will start out on a smaller scale the Phoenix Operation, but it will continue to grow as the demand increases. Offering operated crane service using the SPYDERCRANE mini-crawler crane, operators can perform lifts in confined spaces, indoor, or even in zero-emission environments. 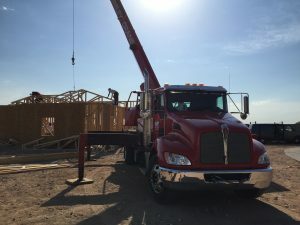 Also available are Boom Trucks with tip-heights of up to 102 ft. With great rates and minimal travel time charges, Smiley Crane Service is rapidly embracing the Denver / Colorado Springs area. To schedule your crane, call Smiley Crane’s Dispatch Center at 719-354-2872. Smiley Crane Service is your premier crane service for Phoenix, Arizona and the Denver, Colorado Area. A division of Smiley Lifting Solutions, Smiley Crane Service has been operating in the Phoenix Area since 1990. In 2016, Smiley Crane expanded its operation to the high demand Denver Area. This family owned and operated crane service prides itself on the quality and safe service that has made it successful all these years. Whether you are looking for a “one up, one down” or an all day truss set, make Smiley Crane Service your crane service of choice.